“Apabila seorang manusia meninggal maka putuslah amalnya, kecuali tiga hal: Sedekah jariyah, anak yang shalih yang mendo’akannya atau ilmu yang bermanfaat sesudahnya”. Literal translation: "When a person dies, his/her ability to do good deeds will stop, except 3 things: His/Her charity work, His/her surviving children that prays for him/her and the useful knowledge that he/her has passed down" - (HR Muslim, Abu Dawud, At-Tirmidzi, Nasa’i dan Ahmad). Since I could remember, she was always there for me and everyone in our family, in our sickness, in our health; in our sadness and our joy. She had a smile for everything and for everyone. She has so much love in heart. I remember, being a small boy looking and searching in her handbag for sweets and chocolates, which she purposely kept for me and my siblings. I never grew out of it, I remember the last time I did it earlier this year, and all I can find was a cough sweet, Hack's. I asked her how come she never buys sweets and chocolates anymore, she just smiled and said all of you are all grown up now. I remember coming to her with my problems while growing up. As a young boy, I would go to her and sleep in her room when I was scolded by my mother, even when I was grown up, I would still go to her when I have an argument with my mother. I remember in college asking her advise on girls. I brought all my girlfriends to meet her first before my mother, if she approves then its a go :) When I was a studying abroad, and even before her passing, I would call her after calling my mum every weekend and I would find comfort in her voice. My grandfather was the man of the house, but my grandmother was the light, everyone in my family turned to in their times of need. She found joy in seeing smiles in the faces of everyone. Her name "Nurani" means "Bright light" or "Clear light" befitting her character to those who knows her. I spoke to her on the phone for the last time afew weeks ago between my return from Italy and before flying off to Finland. I spoke to her about something that has been bothering me and she said "Alhamdulillah, (Thank God) that is a sign of good fortune and prosperity", those positive words really lifted my spirit. Afew days after I was told of her passing. I was devastated and I broke down. I love my grandmother and I miss her so much. I never thought she would pass this world so soon. Im my eyes like when I was young, I thought she will always be there for me and all of us to give a helping hand, a word of wisdom or a simple smile. But God loves her more, may the family be given strength to let her go and the patience to go through this hard time. I did not, I could not not go home to attend my grandmother's funeral. 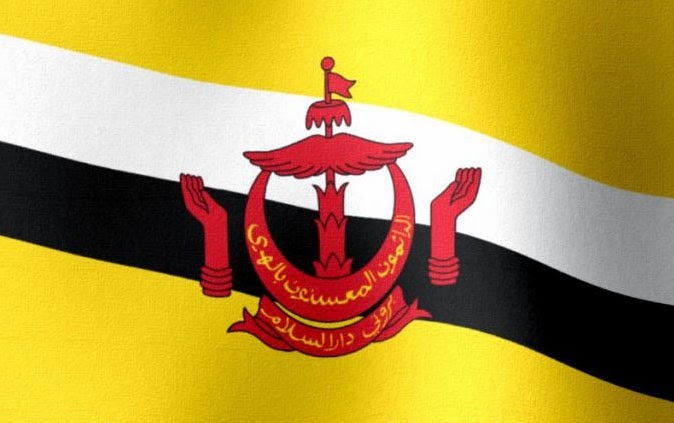 The flights from the UK to Brunei were full due to students flying home for the summer holidays and parents coming from Brunei to the UK for their children's graduation ceremony. I kept the past days to myself. Thank you everyone, SSBD brothers, friends and everyone from around the world for the messeges, emails and phone-calls of support. It really helps to have comfort when being far away from family. Everytime you watch an SSBD video or mention SSBD, please also spare a second of your life to give a prayer to my grandmother. She lived her life to the full, she was a gift for those who knew her. 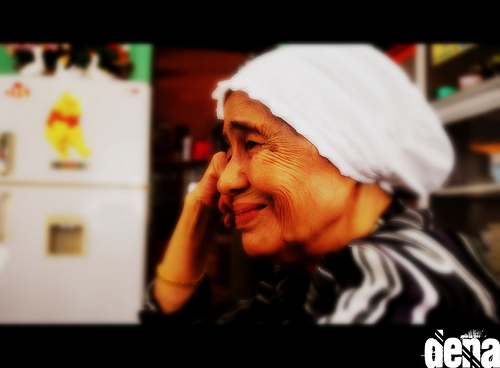 Afew minutes ago today Monday, 15th June 2009, on my return from Finland to the UK, I just received news that the source of my family's strength, my beloved grandmother, Hajah Nurani passed away. There are no words that can express my loss and the loss of my family. She has been the heart, the love, the patience and the joy of my family. The pass 10 years, I have not spent as much time at home as I should have been, only now I realized how I miss her so very much and that I will never be able to see her again. They say true strength can only be seen in times of hardship. My friends, my heart can only bear so much pain and so much regret, I am too far away from my family, at this moment I have come to know myself, I am weak. I will be flying home to Brunei tomorrow for a few days to attend her funeral. Please spare a second of your time to say a prayer for my beloved grandmother.